The palace at Mopu was once known as the House of Women, home to the harem of the General, the local overlord of this remote spot high in the Himalayas. That General is now dead, and his son wants to do something to improve the lives of his people. So he has invited the Sisters of Mary to set up a convent there, to provide a school and clinic. Sister Superior Clodagh and her small group of fellow nuns make the long journey, full of enthusiasm to set up the new Convent of St Faith. But they are not prepared for the isolation they will feel in this place of majestic grandeur, set amidst the mountains, constantly windswept, and with a population who have their own spiritual beliefs and no desire to change. Soon the nuns will find themselves challenged, not only physically, but emotionally, even spiritually, struggling to maintain their faith amidst the emptiness that surrounds them. In my review of the book, I mentioned three things that really stood out for me – the depth of the characterisation, the wonderfully atmospheric sense of place and the slow build up of tension leading to a gothic climax. So these were the things I was looking for when watching the film. First off, the major casting is pretty great. 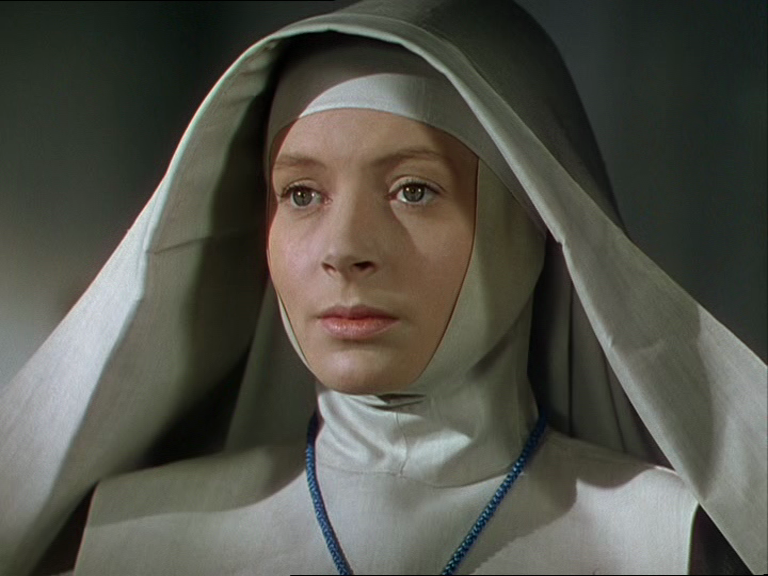 Deborah Kerr, as Sister Clodagh, acts as much with her face and her mannerisms as her words, and gives a fine portrayal of Clodagh’s initial over-confidence giving way to uncertainty, growing nervousness and even panic over the course of the film. She is beautiful, of course, but this is kept toned down during the convent sections. We see some of Clodagh’s back-story in Ireland before she became a nun, and the contrast helps to show the passionate personality she still is beneath the veil. David Farrar, an actor I don’t know at all, is excellent as Mr Dean – he has an overt masculinity (not altogether aided, I must say, by some of the shortest shorts in history) without being an overly handsome hunk, which is exactly how I saw him in the book. 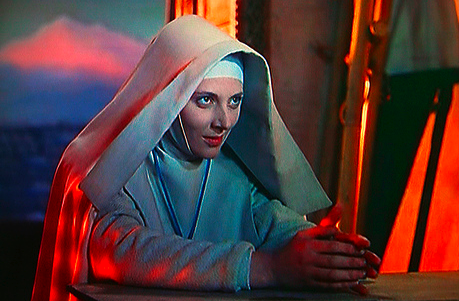 Sister Ruth is played by Kathleen Byron. She isn’t quite as I imagined Ruth – too glamorous and a little too manic – but she fits the role as depicted in the film very well and gives a fine performance, particularly in the latter stages when all of Ruth’s repressions come shrieking to the surface. The relationships between these characters are at the heart of the film and the three actors work well together, none of them dominating the screen to the detriment of the others. 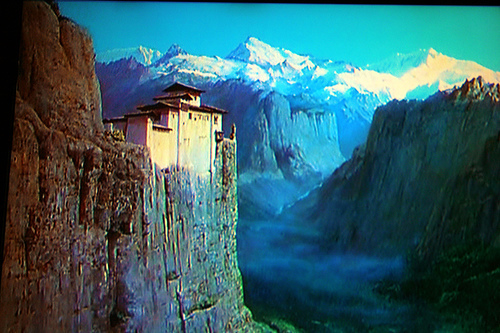 The movie is beautifully filmed in stunningly vibrant Technicolor and, despite being made almost entirely in Pinewood Studios, I believe, brings the haunting atmosphere of the remote Himalayan setting to brilliant life. The ever-present wind plays a big part in creating the unsettling tone in the book, and Powell and Pressburger use this to great effect in the film. One of the things that impressed me about the book was how clearly Godden created visual images in my mind – something that doesn’t often happen with me – and I don’t remember ever seeing another film adaptation that matched my own ideas of a place so exactly, palace and mountains both. A tribute both to Godden’s remarkable descriptive skill and to Powell and Pressburger’s faithful and rather gorgeous interpretation. And so to the plot. For the vast majority of the film, the screenplay sticks rigidly to the book – somewhat abridged naturally, but getting all the important plot points over, and largely sticking strictly to the dialogue as written. The necessary shortening means that there’s less time available for nuance and the story has to move quicker, so the film doesn’t have quite the same effect of creeping slowly up on you that the book achieves. The high quality of the acting is crucial here in letting us see the changes in the nuns but, even so, the film doesn’t achieve quite the same depth of characterisation. It makes up for it in added drama, though. There is one fairly significant change towards the end. I don’t know the reason for it, and can’t discuss the detail since it would be a spoiler, but I suspect it may have been that, at that time, film-makers felt there were some things a nun couldn’t be seen to do in a movie. Odd, since it works fine in the book and I didn’t feel the nun aspect actually made the thing any more shocking. Fundamentally both book and film are about women living a life of isolation in an environment they find challenging, physically, emotionally and spiritually, rather than about religion as such. For my money, the change made the overall tone of the film a little more melodramatic and a little less gothic than the book. 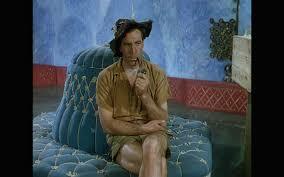 However, taken purely in the context of the film, it works brilliantly and the high drama of the ending is superb. I do hope that rather oblique paragraph has intrigued you, because if you loved the book, then I highly recommend the film, and if you loved the film, then I’m pretty sure you’ll love the book too. Mostly a very faithful adaptation and hugely enjoyable as a film in its own right. Ooo, very wonderful. Love the little pic (or logo) you came up with for it. And the book wins, too, which is neatio. I like when there’s battles. I must admit, I am intrigued about the whole thing now. I kinda like DK, but what a last name. Also, that last pic is super cool! Just the angle and everything. I’d might want to go skydiving. Or hand gliding. Or rope gliding. *smiles like a smiley* Thank you! Yeah, I suspect the book will usually win – books are such great warriors! Oh, maybe not! For instance, I think the John Carter movie beats the first book!!!!! Well, it’s…it’s…how it’s pronounced. That’s the problem with it, see. DS would have lots of fun with it. Yes! She’s really not too safe standing there. Better leave. I agree!!! In fact, really, John Carter was the first “film of the book” review, not this one. And don’t let BUS hear me say this, but I think the LOTR movies might win too… though it’s been years since I read the books. *nods* The books are sorta week for LOTR. Especially the fight scenes… “And lo,” I mean, who starts a deaths scene with that?! Oh, just saw the Martian, too! The soundtrack is awesome!!! *laughs* How appalled will you be if I admit I don’t remember the soundtrack? Who won – film or book? *shock* Why’d you shove her? Goodness. To be fair, I haven’t read the books in ages, so. Haha, not really surprised! You already admitted you don’t really listen to the music. But it’s good! Hmm…I think…the film!! But the book was awesome. I don’t know, the sudden. You should do a vid of it – then I’d listen! Oh, I thought the book won by quite a bit. The film was good, but the book was great… so much funnier! That’s okay. Strider didn’t like her anyway. It’d take me five years to read them all. I tried too once. Nah, I’m planning something else at the minute… That’s a good point. Much more funny moments in the book. But the movie was splendid! *laughing* Aha, thank you for that. If I was around I would’ve broke her leg for you. That’s good. Hides her face now. Nah, my mom read them to me years before the movies. Or a few years, I suppose. *tries to remember and can’t* And if you’d throw out every other book. That might help. 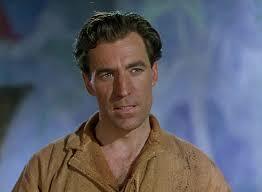 MD did a fantastic job, but it should’ve been Taylor K from Princess of Mars. But you don’t know–for sure! You might’ve stepped into the spot and shined! Too bad she was in the way, haha. *laughs* There was a thing on the news the other day about a woman who has started up a choir for people who can’t sing… if I lived nearer, I could join it. Wouldn’t it be embarrassing though if she turned me down? Oh phooey! The professor is not! At least, I don’t think so. You’re not ancient. I am, remember. *laughs* I would’ve liked to do that! I’d make a rotten botanists, tho. Well, if she turned you down it’d mean you could sing! So good either way, see. You could have snuck into the Thark city then, and stolen their food. The first film was out when I was 7? Goodness. I am old. Why’d you have to go and do that for? Oh. If John Carter was about I would’ve joined Helium, I think. As a soldier or something. *tries and tries not to laugh* You could have gone to watch it and waved your little wee warrior-babe fists at Sauron… *hahahahahahahahahahahahahahahahah* Sorry!! So sorry!! But it’s just such a cute & adorable image!! *hahahahahaha* If it’s any consolation, I’ve just choked! Humph noodles. If I recall, we weren’t allowed to watch it, ’cause we were so young. I think we first watched it on VHS a few months later once it’d been okayed. The Black Riders were scary fellows back then. You’re just laughing me to scorn, dadblameit! But still, no chocking, please. I wouldn’t do that. I might have speaks with them, tho. *chuckles* I’d never laugh you to scorn!! It’s the sweetest image, you’ve got to admit! If you ever get the chance to see it in the cinema, you should – the effects are even more brilliant on the big screen – and the Black Riders are still scary! Wonderful. Move over Dilys. One specific question, just because your comment intrigued me. How do you define the difference between melodrama and Gothic. Answers should include references according to the Harvard system, and have been checked for typos, spelling errors. UK spelling and grammar please. I’ll have to check out both! What a great feature you’ve started here, FictionFan! I really, really like it, and I’ll be keen to see what other book/film matchups you plan. In this case, both the book and the film sound intriguing (I thought so about the book, anyway, when I read your review). I do love it when films stay as true as they can to the book, and it sounds as though that happened in a lot of places in this film. All the better, sez I. Thanks, Margot! 🙂 It’s really designed to make me watch more films, which I’ve got out of the habit of recently, so we’ll see how it goes! Yes, I was pleased at how closely this one stuck to the plot, and I thought the casting really worked too – for the major roles anyway. I agree – I can’t stand it when a film totally distorts the story, even the meaning of a book sometimes… grrr! I loved the book and the film. I take your point about the plot change, but I think they both worked well. And next…….? I really am going to have to read the book now! What a great idea for a feature and both the film and the book sound really good although I’m intrigued about the plot change though. You know, typically, books win over film for me, FF. There’s something awfully special about using one’s imagination, entering a fictional world, trying to “see” characters and settings without having all that done for you. As for that last photo, she’s a braver woman than I’d be — that’s a LONG drop, you know! I know! Even looking at the picture gives me vertigo! PS ‘nuns are kinda gothic themselves’ – classic line, hilarious and true! Hahaha! 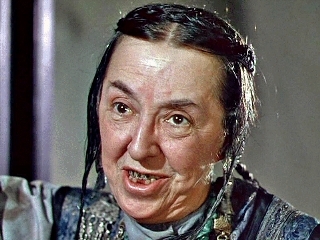 I’ll just have to hope no nuns read the blog… who wants an irate gothic nun after them…? Gotta check to see if it’s on Amazon Prime or Netflix……You and LF have convinced me my life will not be complete unless I see/read this. My son has been home sick for three days. Perhaps my immune system is weak…. Nothing that a few dozen books won’t fix. I envy him that. Gothic v melodrama. Hmmmm One always need to take into account the period in which something was written or filmed…. runs off to get movie popcorn and a soft drink. 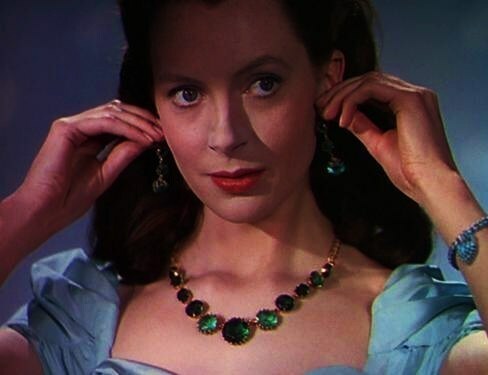 Now I realise Deborah Kerr is in it I realise it is probably the film I have heard of before; although I haven’t seen it. After hearing your thoughts I am very tempted by the book and the film! I love Hitchcock films and others from that era! I really like the film and have seen it several times throughout my life (my mother and I watched a lot of films when I was small that perhaps weren’t the most obvious choices for a child 😀 ) but strangely have never picked up the book – this is about to change as I am totally intrigued by your reference to the ending change! Ha! I grew up on gangster movies with my dad! I loved both film and book – I’ll be intrigued to hear what you make of the book. I do think the change worked in the context of the film, but I preferred the book. Mind you, I nearly always prefer the book! I want to read this. Very much! If you recall, I reviewed Rumer Godden’s ‘House of Brede’ a few months ago! Ah, yes, I’ve read a few reviews of her stuff recently – I think she may be coming back into fashion a bit. If you do get around to reading it, I hope you enjoy!